Two summers ago, The Pizza Snob travelled across the Florida Panhandle’s Highway 30-A looking for good pizza. Hands down, the most authentic and tastiest pie I found was at Enzo’s Italian Restaurant. 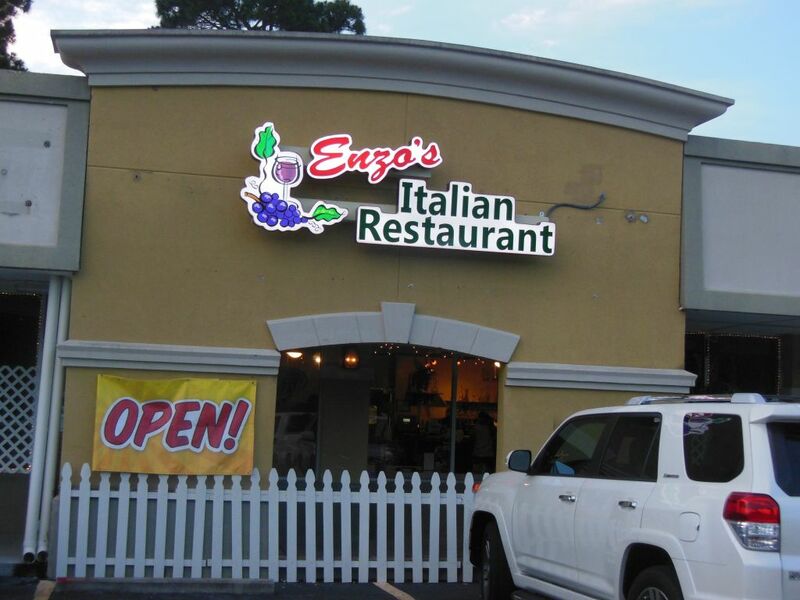 Previously located on the west end of 30-A in Santa Rosa Beach, last year, Enzo’s moved up north to Highway 98. Although it can no longer technically be said to have the best pizza on 30-A, my return trip this summer found it to still be the best in the area. In fact, it has even gotten a little better. 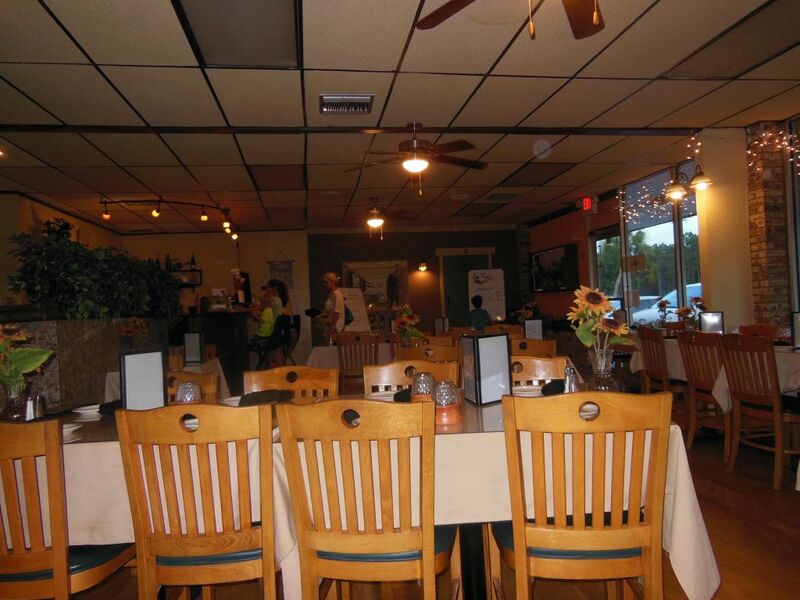 The two sisters that once ran the place have since moved on and been replaced by the owner. Although the pizzas each made were quite similar, the owner claims that they diluted the original recipes, and he has now gotten it back to form. Let me just tell you that all three Long Island natives know what they are doing, and there is no need to argue over who made the better pie. 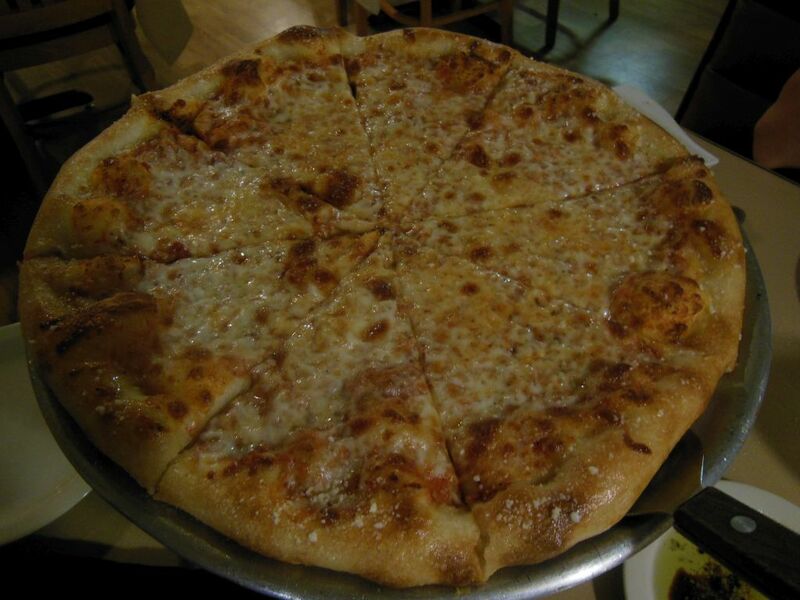 Mrs. Pie and I made a mid-week visit to Enzo’s and started our evening of fine Italian dining with a small 12-inch cheese pizza ($14.00). To get right to the point, Enzo’s pizza is absolutely delicious, and I now realize that I was a little stingy on my previous rating. Hot right out of the oven, our pie was one of the freshest I have ever tasted. It was cooked crisp with a nicely charred crust on the bottom. Each small slice stood firm despite a dough content that was slightly thicker than usual. The heavy end crust though wound up being a little on the puffy side. Apart from excellent execution, the extra tasty touches in the preparation of this pie were what made it truly special: a heavy dose of parmesan cheese and an strong flavoring of garlic. It was lightly sauced and gently sprinkled with oregano. A lush layer of olive oil looked like it was painted on top of the cheese. While some of these add-ons may have taken this pie a little off tradition, they nonetheless contributed towards making it a unique delicious delight. I strongly encourage you to visit Enzo’s if you ever are on the Panhandle. Although it is a little out of the way, it will be one of the culinary highlights of your holiday. Their great pizza will be just a sideline to what will be one of your best Italian dining experiences ever. You will also be glad to meet the warm and friendly owner.